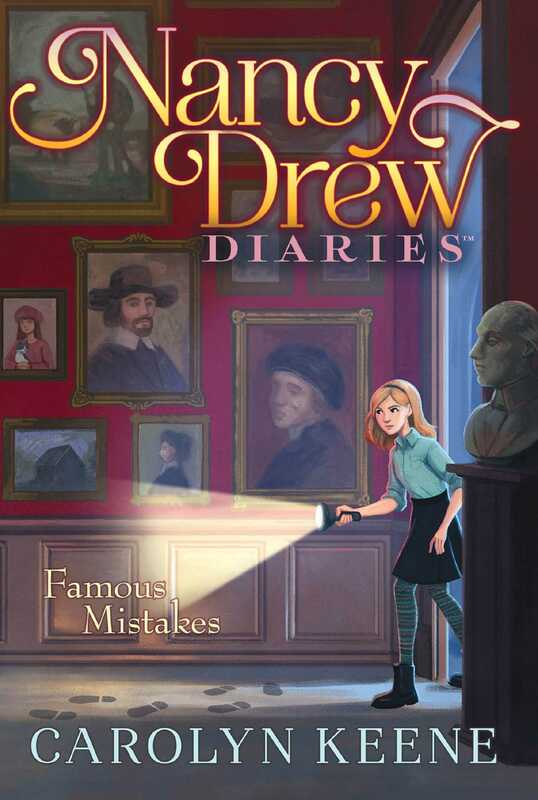 Nancy and her friends are out to find a comedian’s saboteur in this seventeenth book of the Nancy Drew Diaries, a fresh approach to the classic mystery series. Nancy’s boyfriend, Ned, has recently started his own podcast called NedTalks and he just got his big break. Up and coming comedian Brady Owens has agreed to sit down for an interview. And this isn’t just any interview; it’s the first interview Brady has given since a video of him lashing out at an audience member went viral. Now people are protesting his shows and calling him violent. Nancy agrees to help out with the technical stuff so Ned can focus on the hard-hitting questions. But when they go to meet the interviewee they find Brady’s hotel room trashed—and no comedian in sight. Luckily, they find Brady unhurt and nothing of monetary value is missing from the room. Only his notebook of new material is gone. Brady says he knows it’s the people who’ve seen the video of him yelling. They think he’s dangerous and doesn’t deserve a platform. He wishes it would all blow over.